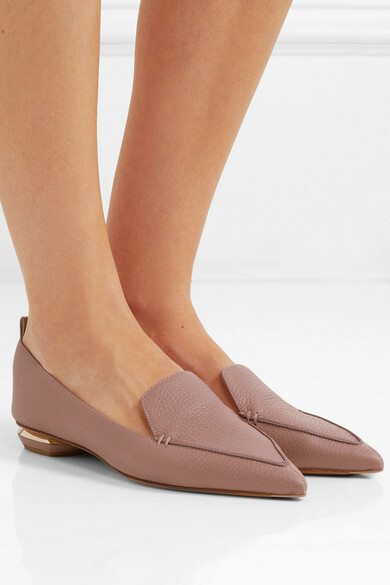 It's the interplay of masculine and feminine elements that has earned Nicholas Kirkwood's 'Beya' flats a cult following - Arizona Muse, Gigi Hadid and Dakota Johnson are all fans. 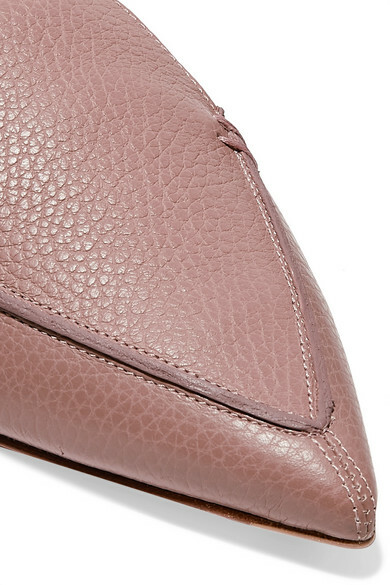 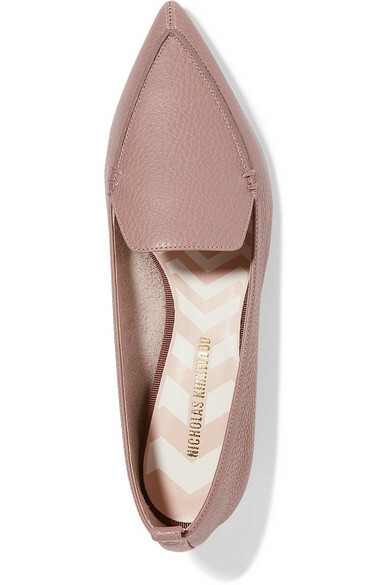 Reworked in a pretty blush shade, this pair has been handcrafted in Italy from supple textured-leather in a sleek point-toe shape. 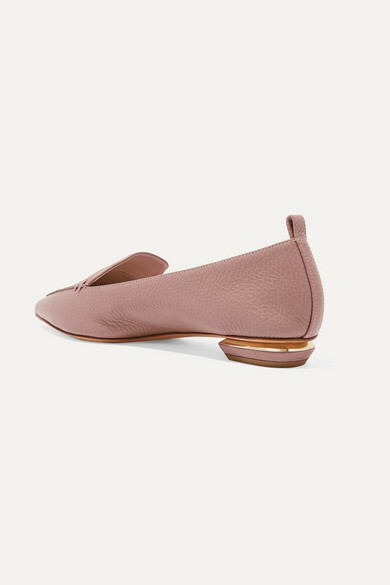 The signature gold heel is sculpted to resemble Art Deco architecture. 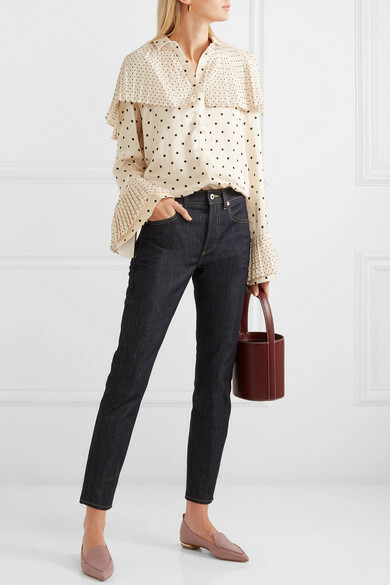 Shown here with: Mother of Pearl Shirt, EVE Denim Jeans, STAUD Bucket bag, Paola Vilas Ring, Sophie Buhai Earrings.